A friend recommended this book as one she thought was my ‘style.’ She was right. It went down easily and sometimes I surrendered to impatience, especially toward the end. Long ago I read “The Far Pavilions” by M.M. Kaye – twice – because they transported me so thoroughly to another time and place I became enchanted with colonial India. This book, “Beneath a Marble Sky” did the same thing to me, transported me to another era in that mystical, sometimes brutal and thoroughly interesting country. Throughout time many have gone there and come home changed, as maybe I will one day. I enjoyed the historical aspect of the building of the Taj Mahal, found the authors ‘take’ on the building, the persons and the time interesting and worth reading. Even if some of the motives for the actions of the characters are not always clear, the heroine is smart and very, very human. Sometimes it seems she is too smart for her own good, but the author creates a believable environment and the love this woman feels is passionate enough to produce tears at the end. I do enjoy novels where family is binding, where love of family truly influences who a person becomes. I personally prefer that influence to be positive, but as in reality, family doesn’t always work that way. After reading it I went online to read a bit more about the Taj Mahal and found interesting diversity in people’s beliefs about whom actually built it and how old it is. 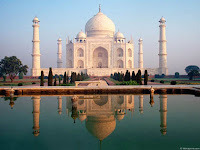 Sometimes a story is good enough on its own merit and what I found was interesting (one of the main reasons I like historical fiction is, that if it’s any good it makes you want to find out more) but I really didn’t care about the “reality” of the Taj Mahal. “Beneath a Marble Sky” was a good story and I would recommend it. 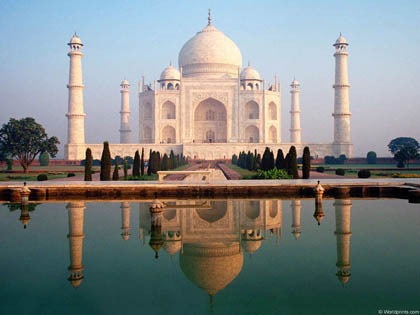 Here is a link to the photo below and the “controversy” over the Taj Mahal.